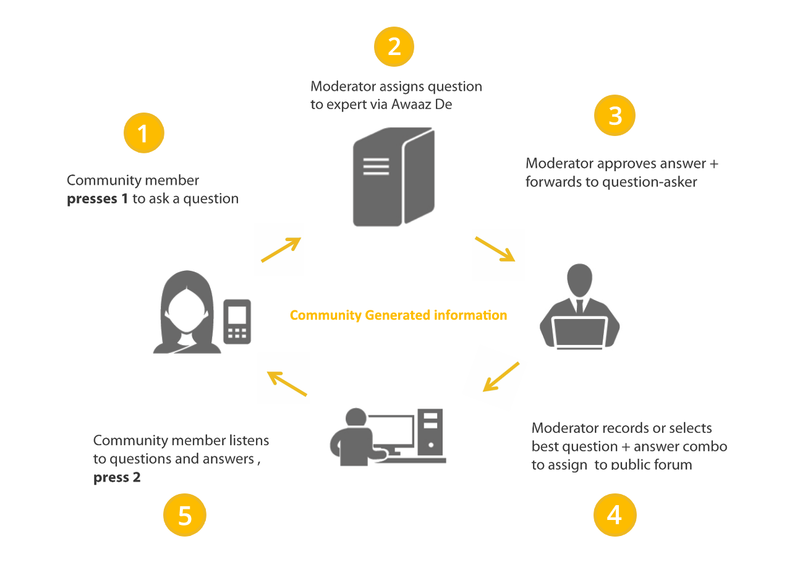 Forums is a Voice based platform enabling organizations to engage with beneficiaries by providing on demand, many-to-many information access through mobile phones. It is a fully hosted, turnkey solution, and does not require investment in hardware or software installation. Forums is a cloud based service, no software installation required. It is accessible to the beneficiaries 24x7 for peer to peer sharing, Q & A, and access to announcements. Makes knowledge creation, access, and sharing available to everyone in any language. Leverages the ubiquity of mobile and the expressivity of voice, enabling organisations to overcome language and literacy barriers. All data is stored on secure cloud servers and is encrypted for security. We practice highest standards of data security and have deployed three layered digital security to ensure data safety. Log-in and moderate the whole discussion. All voice clips can be tagged and are searchable. Assign questions to moderators’ phones with one click.